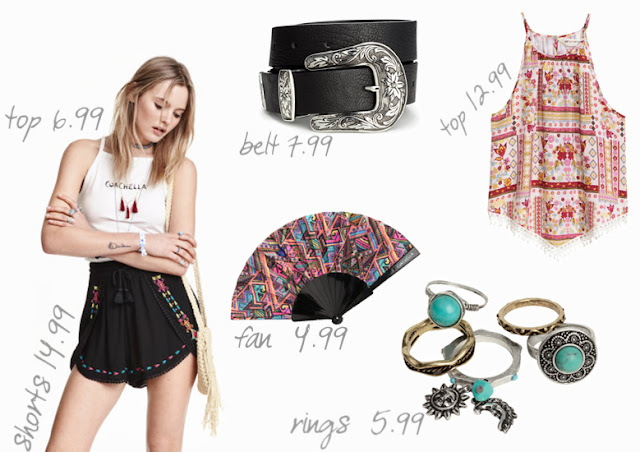 Last year, H&M announced they were releasing a Coachella inspired line, and it was beautiful. This year though, they've done even better. Dungaree, crochet, funky sunglasses, copius amounts of accessories. This line is what my summer dreams are made of. Although, I will still be checking out all the gorgeous outfits. Just like last years post, I've picked out my favourites from the Love Coachella line. Now I'm going to go on a small (alright, alright) big shopping spree. Listening to: Kaskade- It's You, It's Me.